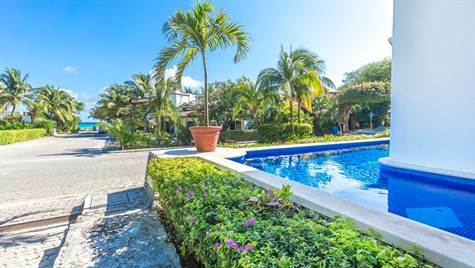 Casa Pescada Blanca is a luxurious 4 bedroom Villa in Playacar Phase I, just a few steps from the Best Beach in all Playa del Carmen!! This amazing Villa has been carefully designed, furnished and equipped with all you could expect. Has a unique design with intricate, carved-out lighting in the ceilings accented by modern Cantera floors. An abundance of windows present spectacular views and fresh breeze of the Caribbean Sea. The Villa has 2 beautiful pools, one of them is an Infinity Ocean View pool located on the large and beautiful Roof Top Terrace. *Please call me or e-mail me for further information on this Dream House!